Some Hong Kong transport related news. Mainland Chinese women attack bus driver. Pretty startling given hit him, yell at him and slap him round the head. Feature article on Chinese electric buses. Both Shanghai and Guangzhou feature. I've not read this article in detail yet. More fall out from the scandal of construction fraud at Hung Hom station on the new Central Shatin link. Seems pretty eventful. I find Hong Kong to be a fascinating place. I'm nipping over there again tomorrow, partly to ride the Olympians before they go for good! Some nip- Burnt Oak takes two days planning for me. I've just gone an extreme shade of green. Have fun and enjoy the warmth and sunshine. Thank you . It's now or never as those Olys have dwindled almost down to single figures and are expected to have retired altogether by the end of March. Loved the place when I visited in November. Well I have the small advantage of having visited a fair number of times and I made sure I used the buses pretty extensively. 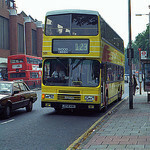 Didn't do too well with the old style open window non air con buses apart from the "ride from hell" on an ex LT DMS from Stanley which I've described before on here. I usually stay in Fortress Hill so Citybus 10 was a regular ride for me and that had Olympians on it for a very long time. Also a fair number of rides in the New Territories from Sheung Shui to Yuen Long long before Shenzhen became a mega city. You could see the old British barracks near the border with China. I also ridden on a fair number of Dennis Dragons plus the inevitable Tridents et al as the newer low floor buses entered the fleet. Been a long while since my last visit and the fleets have changed hugely in that time as have some of the termini. North Point terminus is now all under cover sadly. Just to make you mildly jealous of some Olympian delights you'll have missed. Yes. I got up early on my first day in HK to go and sample them, but on discovering they all have a Voith gearbox, abandoned that plan after taking one on route 88R. I did get a couple of photographs however. Thanks for that - been a useful resource in identifying whereabouts to find the Volvo Super Olympians. I've been on a few and although they are driven fairly quickly, the drivers rarely push the pedal to the ground as I get that distinct feeling they'd go pop if put through too much of that. Yes, would have been nice if there were still some more around, but I guess until around 2016 I was spending my weekends driving Olympians over here! 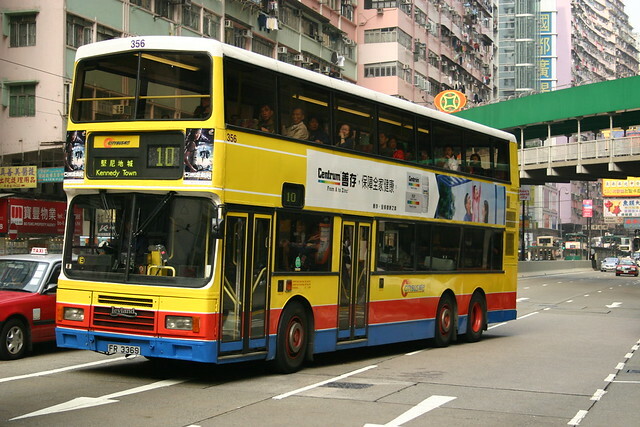 Truthfully I've got a few things going on in HK and the buses are a nice way to fill the gaps. I'm in Mong Kok which is a busy, polluted place, but nothing I'm not used to in London. I gather Fortress Hill is rather nicer? Well Fortress Hill is on a busy main road (Kings Road) so just as polluted as Mong Kok is. You do at least have the interesting market in Mong Kok plus "Sneaker Street" where all the stops flogging trainers are (if that's your bag). The Mid Levels (up the hill from Kings Road) is nicer but obviously more expensive. I won't spoil your fun on route 6 - it is a genuine highlight bus ride as is the 15 up to the Peak. The 14 from Stanley via Tai Tam is also fun because it crosses a reservoir as it goes to Shau Kei Wan. Some interesting new additions to the Kowloon Motor Bus (KMB) fleet. The Gemilang bodied vehicle also sports a different type of electronic route display. 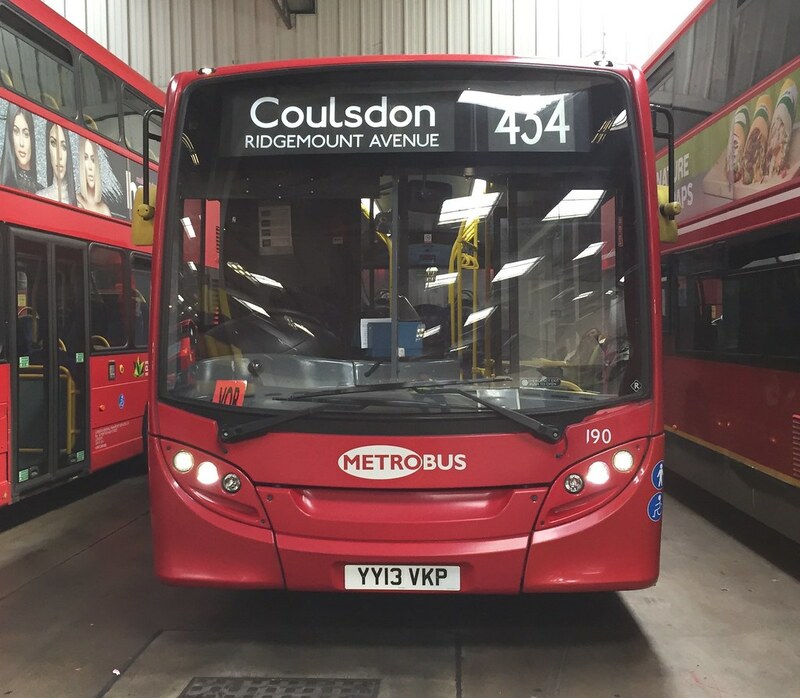 Can see Alexander Dennis filing a lawsuit against Gemilang, their new bus looks almost like an Enviro400 MMC at the front! Plus the remaining part of the body work, does resemble an E500 a lot as well. I can't see a lawsuit being filled however. Although there are many similarities to ADL's products, there are also a load of differences.